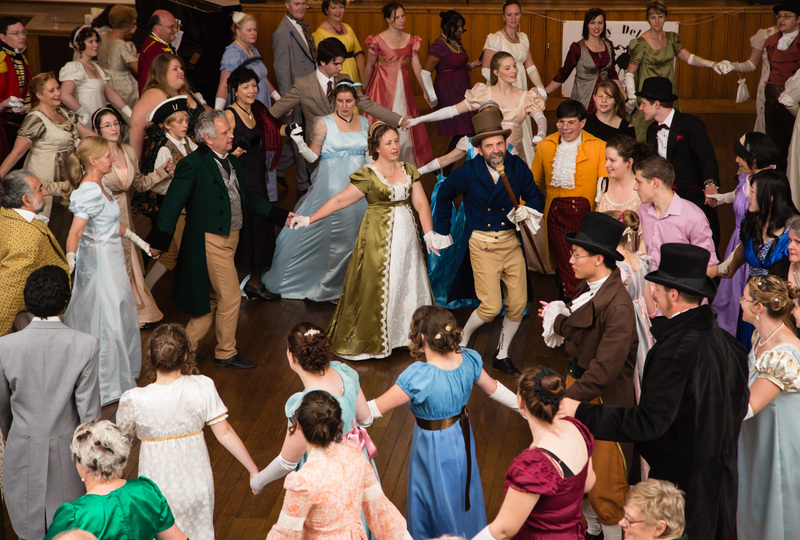 Jane Austen Festival Australia is an annual celebration in Canberra where living history enthusiasts from all over Australia come and indulge themselves in everything Georgian, Regency & Early Victorian – including dancing, music, food, games, archery, fencing, theatre, promenades, grand balls, talks, workshops, costumes and books. Since its inception in 2008 this little festival has blossomed into one of the most delightful weekend anyone could experience each April in an old and beautiful part of Canberra, the Federal capital of Australia. Jane Austen Festival Australia was the idea of Aylwen Gardiner-Garden and first took place in 2008. Aylwen’s aim was to hold an annual celebration where living history enthusiasts from all over Australia could come and indulge themselves in dance, music, food, games, costumes and books. This festival is now a regular part of the ACT Heritage Festival and Australian Heritage Week.